If you want a action – packed , cliff hanger series. Riverdale is the way to go. The CW’s show Riverdale is an intense show of betrayal, romance, and mystery and could be one of the best show in 2017. From love triangle to murders Riverdale captures the unusual story of a peaceful town. 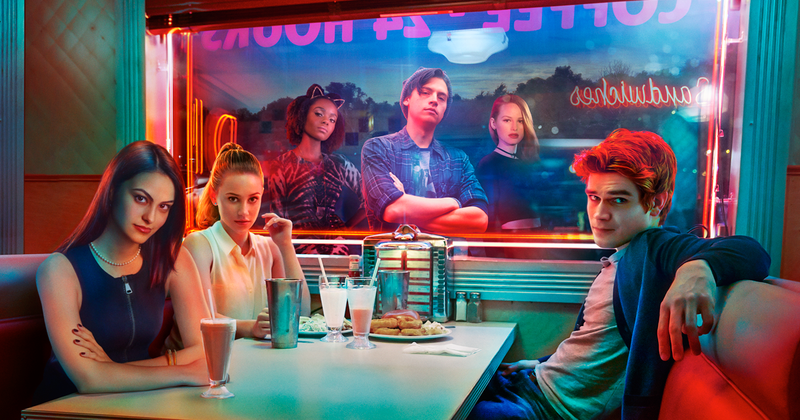 The series based on the Characters from the 1941 Archie Comics created by publisher John L. Goldwater and artist Bob Montana, follows the aftermath after Jason Blossom (Trevor Stines) was mysteriously murdered after him and Twin sister Cheryl (Madelaine Petsch) went on a boat ride to Sweetwater River in the early morning of July 4th and Jason “fell out of the boat” (when actually *SPOILER* it was part of his plan to fake his death run away with Girlfriend , Polly Cooper ) and was later found with a gunshot in the head and follows the characters find out who his murderer is . The series stars best friends Archie Andrews (KJ Apa) , Betty Cooper (Lili Reinhart) , Kevin Keller (Casey Cott), Jughead Jones (Cole Sprouse) and the new mystery in town, Veronica Lodge (Camila Mendes). If you are looking for a new show to watch i would strongly suggest that you tune into Riverdale it is definitely a show you want to watch and anyone will enjoy.